Your calls come in loud & clear with advanced echo cancellation. Setup is easy with simple phone pairing and automatic phonebook transfer. 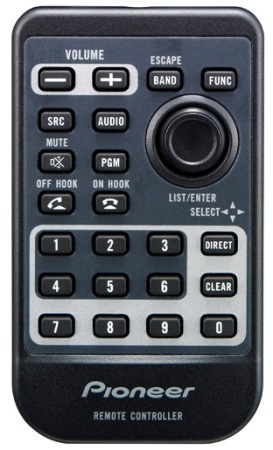 Simply tilt, turn and push the Rotary Commander to register and use up to three Bluetooth� -compatible cell phones. Use with Phone Pairing to transfer your entire phonebook at a single time to the headunit, which can memorize up to 3600 different numbers: 400 persons x 3 contacts x 3 phone types (cell phone, home, office, etc.). Compatible Phone with PBAP profile required. Advanced Echo Cancellation has three levels of adjustment to keep phone calls sounding sufficiently loud and clear. When you're not utilizing hands-free calling, the FH-P8000BT can use Bluetooth� Wireless Technology to feed your appetite for entertainment. 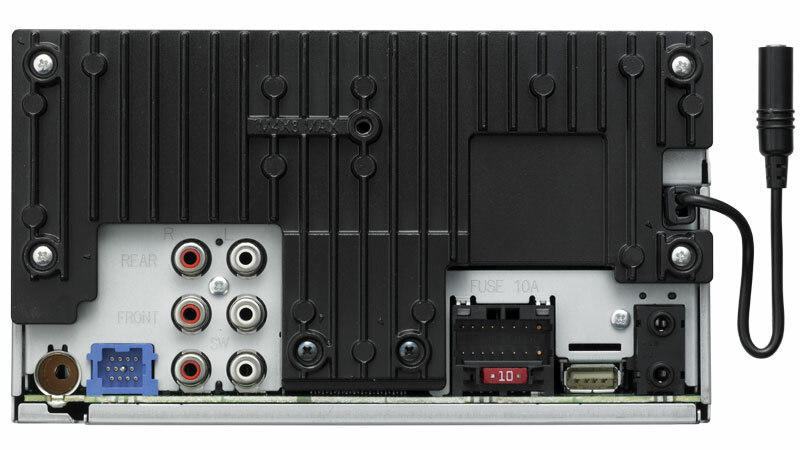 Using "wireless audio" control and streaming (AVRCP, A2DP), you can control and listen to a compatible audio player or music phone on your headunit. Hear the detail, warmth and clarity, the way the artist intended it, from all of your highly compressed MP3, WMA and AAC files stored on USB memory device, iPod� and portable digital players. 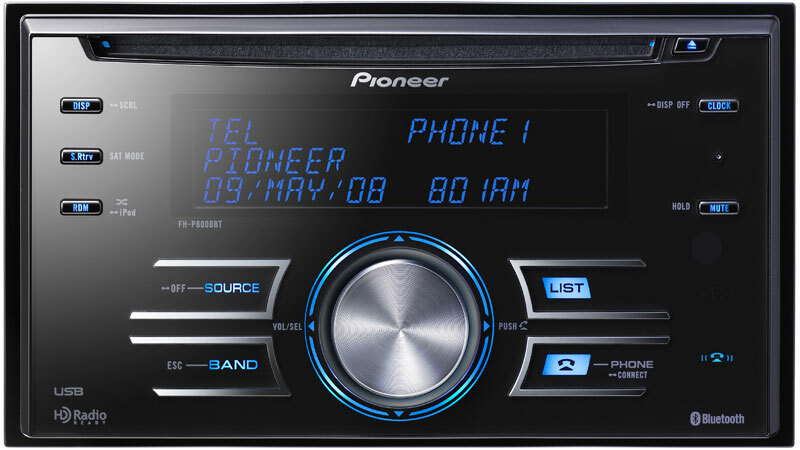 By restoring data (especially higher frequencies) that tend to get lost in the digital compression process, Pioneer�s Advanced Sound Retriever technology enhances audio reproduction nearly all the way up to 20 kHz frequencies. 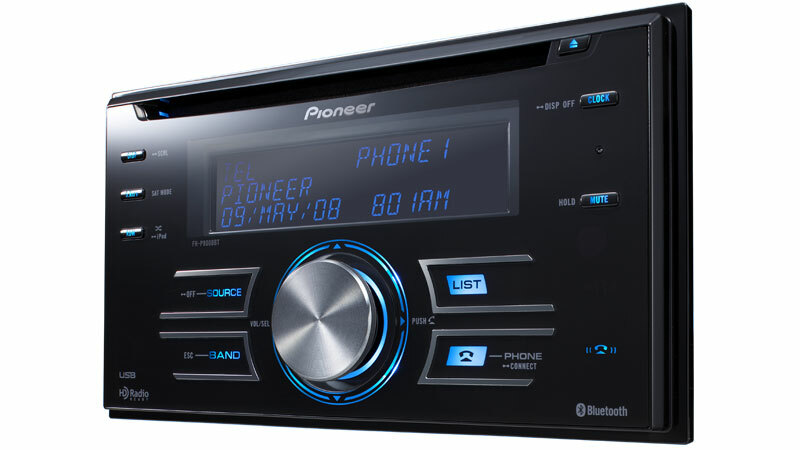 Pioneer's FH-P8000BT is ready to roll with capability for direct connection to your iPod� . USB 2.0's speed and capability allow an elevated iPod� experience in the car, and nearly limitless expandability for portable media players and USB memory devices. 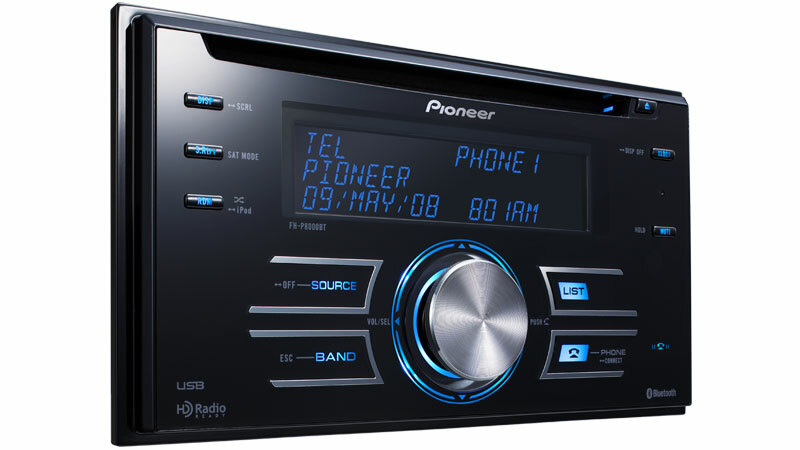 Allows passenger to use the iPod� directly to browse and select music, while connected to the headunit for playback. High-Pass Crossover (HPF) 50/63/80/100/125Hz, -12dB/Oct.